In Business? are you liable ? 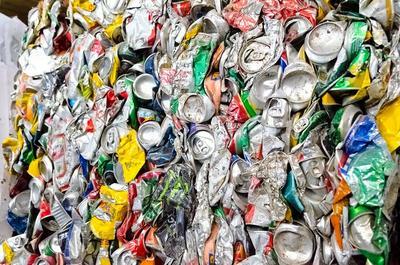 All persons or commercial companies who introduce goods into Malta and Gozo that inlude some type of packaging material are required by law to join a Waste Packaging Scheme such as GreenMT. The packaging that is included with your products will end up in the waste stream once it is discarded. GreenMT organises collection and recycling contractors to pick up all types of packaging from the waste stream and recycle it on your behalf according to your legal obligations. We take care of your waste management obligations while you take care of your business. All GreenMT scheme members can benefit from a free packaging waste pickup. To qualify you will need to be a member that places over 500Kg per year on the market. Pickups are by appointment only. Cardboard and Wood is collected every forthnight and Plastic waste is collected monthy. Please call 9924 6925 to set an appointment or email info@greenmt.org. All collected waste packaging is recycled at authorised facilities and you will be given a receipt. 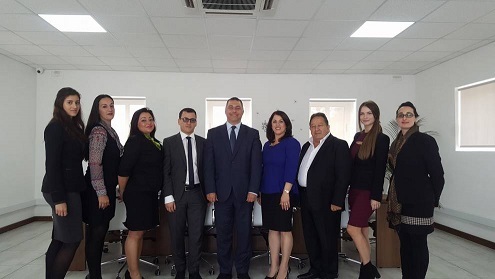 GRTU (Malta Chamber of SMEs) together with it's subsidiary GreenMT has been very active in developing a national policy for implementing a comprehensive solution to WEEE (Waste Electrical and Electronic Equipment). 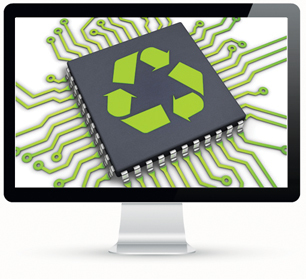 The aim is to create a not-for-profit scheme that will collect and recyle discarded electrical and electronic equipment on behalf of businesses who are members of the scheme. GreenMT has been very proactive in discussions and actively spearheaded this initiative together with the Minister for the Environment, the Hon. Leo Brincat. The most awaited outcome of this initiative will be the removal of the ECO Tax system. The unfair ECO tax system is going to be replaced with a much better solution where costs included in the price of items will reflect and be proportional with the actual recycling costs of the products. Your carbon footprint is how much Carbon Dioxide you produced in your day to day activitues. All you need to do is to key in some data about your lifestyle and instantly calulate your carbon footprint ! You can also compare your carbon footprint to other countries and to the accepted sustainable average. The calculator is intended to make you aware of what adds most to your carbon footprint. In a lifetime the average Maltese person will throw away 600 times the amount of his or her adult weight in garbage. For example, a 90Kg adult adult will leave a trash legacy of 54,000 kilos. Il-Kumpaniji Green MT u WEEE Malta, it-tnejn kumpaniji sussiddjarji tal-GRTU u skemi awtorizazzati, waħda għall-ġbir tal-iskart tal-ippakkeġġar u l-oħra għall-elettroniku kellhom żjara ta’ korteżija mill-Kelliem Ewlieni tal-Oppożizzjoni għall-Kunsilli Lokali Robert Cutajar li matulha ġew diskussi il-proposti riċenti tal-Partit Nazzjonalista għar-riforma fil-Kunsilli Lokali u kif il-lokalitajiet jistgħu ikunu aktar innovattivi u effiċċjenti fil-ħidma tagħhom favur l-ambjent. Cutajar intlaqa’ miIl-President tal-Kamra tan-Negozji żgħar u medji – GRTU, Paul Abela u l-Kap Eżekuttiv ta’ Green MT u WEEE Malta Joe Attard. 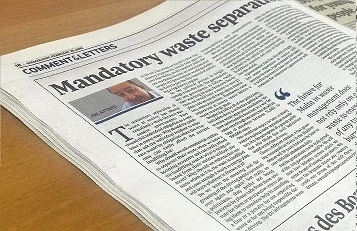 The mandatory separation of waste at source has always remained a myth because successive Governments have viewed this individual obligation as a vote loser in many ways. Why should the politician ask the individual resident to separate waste by obligation when the economy can easily afford the current landfilling fee. Why should we ask commercial entities to separate their waste when we have a booming economy and can easily afford the landfilling cost of what is being collected from their entities without any payment. Why should we enforce this scenario when as it is, the waste is land filled and soon enough a waste to energy plant will burn whatever is thrown at it? Do we want the moaning and the groaning of the driving points system all over again and again? Not really, as politicians, they prefer not being pestered by phone calls from those who vote for them or prospective voters asking them to somehow help in cancelling a fine or a penalty for not separating waste or for not being responsible during driving. Il-Gvern se jdaħħal liġi biex is-separazzjoni tal-iskart fid-djar u l-entitajiet kummerċjali issir obbligatorja. Dan tħabbar mill-Ministru tal-Ambjent Josè Herrera waqt it-tnedija ta’ ‘Tetra għall-Istrina’, inizjattiva ambjentali minn GreenMT bil-għan li tkabbar l-għarfien dwar is-separazzjoni u r-riċiklaġġ tal-iskart u fl-istess ħin iżżid il-karus tal-Malta Community Chest Fund. Il-Ministru tal-Ambjent qal li l-obbligu li wieħed jissepara l-iskart se jkun inkluż f’liġi ġdida dwar l-ekonomija ċirkulari li hi mbuttata primarjament mill-Unjoni Ewropea. 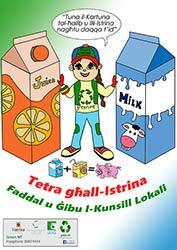 Il-Green MT nediet skema li twassal biex jikber l-għarfien fuq l-immaniġġjar tal-iskart. 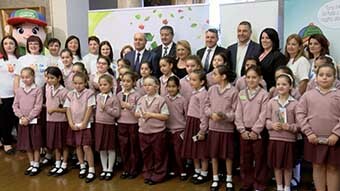 Dan hekk kif se tkun qed timmarka l-“European Week for Waste Reduction” bil-ġbir ta’ pakketti tal-ħalib u tal-juices.Ma kull tunnellata ta’ skart li tinġabar il-Green MT se tkun qed tagħti donazzjoni ta’ €60 lill-Malta Community Chest Fund. Il-President ta’ Malta, Marie Louise Coleiro Preca saħħqet li din hija skema li tkompli taħdem fuq l-isbatax-il mira għal żvilupp sostenibbli tal-Agenda elfejn u tletin.